When I first saw the title pop up on my Netflix streaming page, I had to read the synopsis. I’d never heard of “Kim’s Convenience,” but I’ve stumbled across some good stuff just giving it that first click, and this 30-minute Canadian sitcom might be the best yet. I saw it had two seasons available, started watching the pilot, and I was hooked. The show debuted in 2016, and once I did some Internet checking, I found it’s already been renewed for seasons three and four. Season three hasn’t aired in Canada yet, so no telling when or if it will show up on Netflix. Until then, I’ve started over with that pilot and am watching it all again. The main cast follows a pretty typical sitcom premise: mother, father, son and daughter. 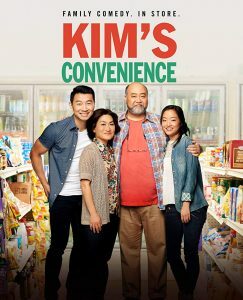 Appa (Paul Sun-Hyung Lee) and Umma (Jean Yoon) are literally the mom-and-pop owners of a convenience store in Toronto. The Korean immigrants live above the store, and Appa usually sends his customers off with a cheery, “OK … see you!” which Lee has done his best to make a trending hashtag on Twitter, as he signs every tweet with #okseeyou. Their daughter Janet (Andrea Bang) lives with them, works at the store and goes to art school for photography, while their estranged (from Appa, anyway) son, Jung (Simu Liu), works at a car rental agency. A robust supporting cast of characters at the rental agency, at Janet’s school, the Kims’ church and customers who visit the store throughout the day provide a lot for the main four to interact with. 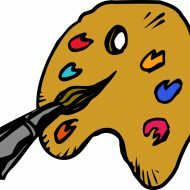 My favorites are Kimchee (Andrew Phung), Jung’s roommate and coworker, and Gerald (Ben Beauchemin), Janet’s classmate at art school. Kimchee is a blustering good-guy bro, while Gerald is humorously nervous and awkward around Mr. Kim. The best of the bunch, though, are Lee and Yoon. Their characters’ interactions with customers, their kids and each other are the heart of the show. Mr. and Mrs. Kim are successful business owners, so much of the action takes place in the store, where Appa spends most of his time tending to business. Umma also spends a lot of time and energy in volunteer work at their church, which provides a variety of interesting storylines, especially as Umma regularly converses there with the moneyed Mrs. Park, who fancies herself above the Kims. The only downside is the workplace flirting-turned-romance between Jung and his boss, Shannon, at the car rental place. Yes, in reality it happens with frequency, but it’s still uncomfortable to watch, and this storyline is my least favorite. It’s too bad, because Shannon is played with comic awkwardness by Nicole Power. An interesting and funny premise isn’t enough to make me want to watch two seasons of a TV sitcom in a few days, but bright and witty writing, and stellar acting do. Here’s hoping season three shows up in the States soon.